Many people and animals, depend on vegetation for the majority, if not the entirety, of their nutrient and calorie intake. Funnily enough, vegetarians and vegans constantly experience opinions of concerned meat-eating citizens who wonder where they could possibly be getting their required daily protein recommendation from. Same said concerned citizens never seem to question the gorillas, giraffes or elephants about where they get theirs from. And the many other plant protein options such as nuts, seeds, whole grains, beans, peas, fruits and vegetables. All of which come nicely packaged with full sets of minerals, fibre, essential nutrients, *phytonutrients (which aid our immunity), vitamins, and amino acids. Unlike plant protein, animal protein comes with saturated fats, hormones, often antibiotics and bad cholesterol. In bad cases you’ll encounter harmful bacteria, parasites and carcinogens. What exactly are *phytonutrients and how do they benefit us? Phytonutrients, also known as phytochemicals, are compounds that have various job roles within plants. Their various functions include UV radiation protection, bug repellent, and promote the plants overall vitality. When we consume plants, we benefit from these compounds too, which also contain antioxidants, anti-inflammatory properties and protection against diseases. They have also been found to greatly benefit the liver, improving functionality and helping to maintain optimum liver health. 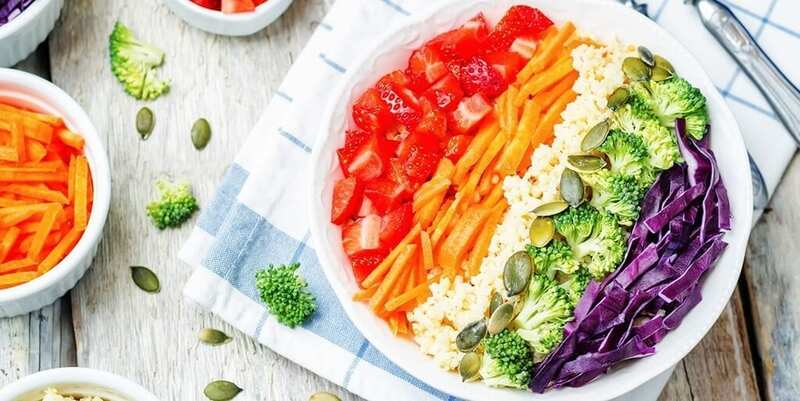 Since many phytonutrients also serve as the pigment that gives foods their deep hues, you can identify many phytonutrient-rich foods by going for the deepest of the most vibrant colours. Think of the rainbow: Red and yellow and green and blue, orange and purple and indigo too! Tomatoes, guava, watermelon, carrots, papaya, collard greens, blueberries, blackberries and red cabbage – you get it! It’s pretty easy to incorporate more plant protein into your diet. 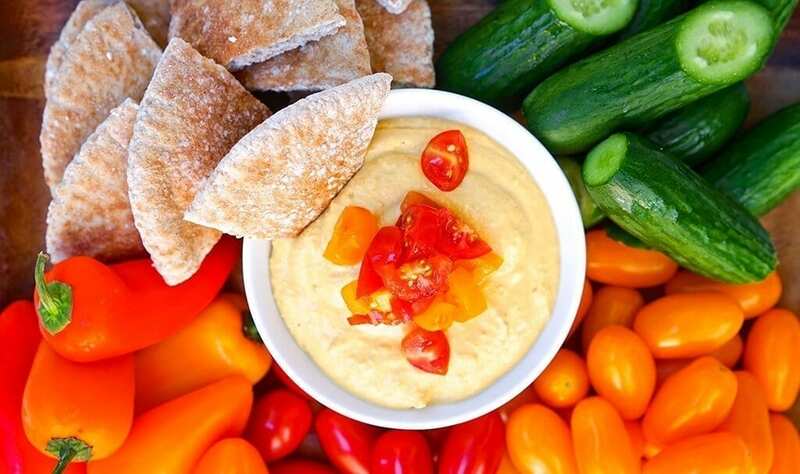 Snack on nuts, yogurt, granola, fruits and crunchy fresh vegetables with dips such as hummus and tzatziki. For anyone who believes nuts are too high in calories to eat on a regular basis, we say don’t eat half a kilo in one sitting and you’ll be fine! The facts are that tree nuts and peanuts are the only plant proteins that contain fats, but they are healthy fats. In addition to the healthy fats, nuts are a good source of fibre, protein and phytonutrients. Nuts are a high density protein food that contribute to improved nutrient intake and a large array of varying health benefits. Among these health benefits include reducing the risk of cardiovascular disease, improving skin health and healing, strengthening teeth and bones and improving digestion. We’re not saying anyone needs to be vegetarian or vegan full time in order to be healthy, but meat should be had a lot less often than the modern western diet promotes. 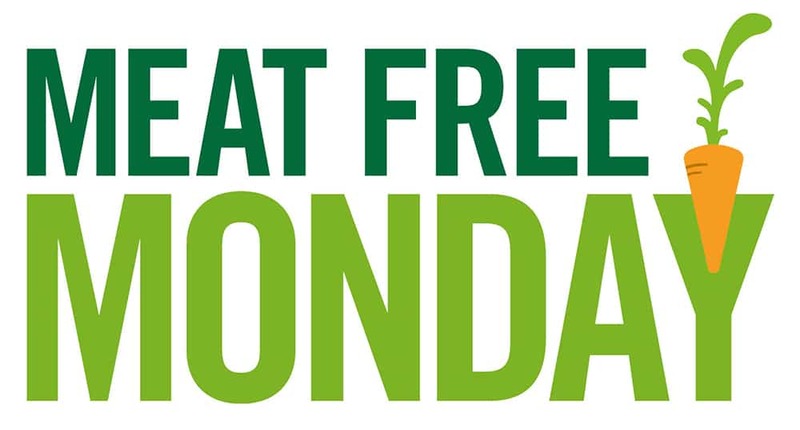 Here at The School of Natural Health Sciences we like to get inspired and share our favourite tried and tested meal ideas, like our top 3 favourite meatless meals packed with a whole lot of plant protein goodness! At The School of Natural Health Sciences we offer 60 courses in holistic health therapies, six of which are nutrition based. Explore the world of nutritional therapy with our dedicated courses: Clinical Nutrition, Advanced Nutrition, Child & Adolescent Nutrition, Sport & Exercise Nutrition, Nutrition for Age 50+ and our hugely popular Vegetarian & Vegan Nutrition Course. If you’re thinking of sprucing up your CV, or fancy a career change, we offer diplomas that are accredited in 26 countries. What’s more, all of our schooling is done online so there is no stress, no deadlines, no commute and no start up expenses.